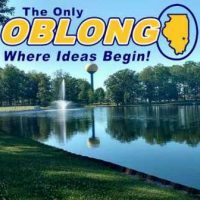 (Oblong) – The Village of Oblong looked toward Christmas during last nights Village Board meeting. They heard that the boy scouts are going to sponsor Christmas in The Park, Sunday December 2nd from 5-7pm. Activities will include carriage rides and a visit from Santa. Also on December 2nd the Santa Train will make it’s annual stop in Oblong from 11:15am-12:45. In other business, the VFW announces that they will be out this Saturday from 8am-Noon at the four way stop for “Poppy Day.” Also, the village leaf vacuum is under repair, so if you have bagged leaves, you are asked to call the Village Hall to schedule a pick up. Oblong Mayor, Teresa Fielder and the trustees extended their gratitude to everyone who helped make this year’s Fall Follies a successful and safe event.